How about this guy? 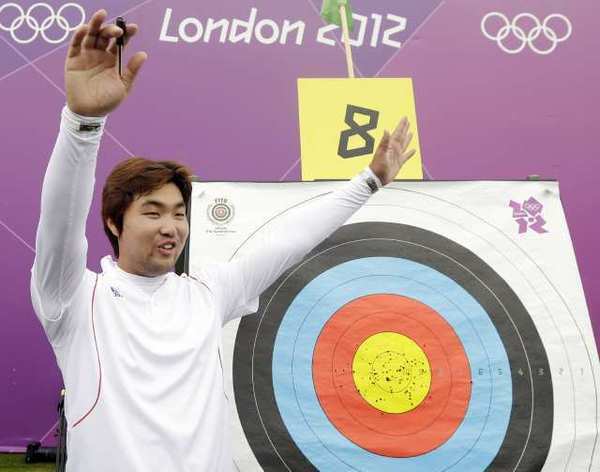 While after 32 years i’m still working on the art of walking, 26 year old South Korean archer Im Dong-hun is blasting individual world records and on his way to more gold already in this years London Olympic games. With 10/200 (10%)vision in his right eye and 20/200 (20%)in his left, Im is legally blind but when you can hit a pinhole at 70 meters (230 ft) with an arrow under the pressure of the Olympics finest archers….you are legally awesome my friend. Adding to his individual world record, IM tagged the team’s world record alongside Kim Bub-min and Oh Jin-hyek as South Korea scored 2,087 points (which broke their previous WR from May). The olympics always drums up that good ole’ feeling of pride in the human spirit but I think Im’s performances transcend the games and remind us all that the cards don’t always have to be stacked in our favor to achieve greatness.